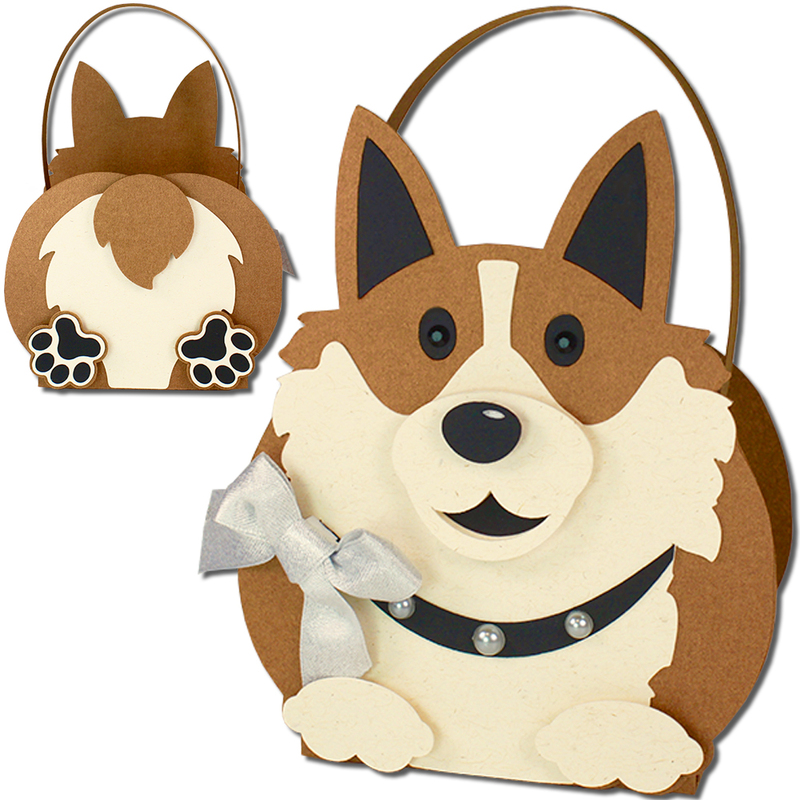 This cute Corgi Dog Basket is a perfect gift container for dog lovers or for dog treats. This design is compatible with both 8X12 and 12X12 mats. Fold the basket base at the score lines. Glue the white face/chest piece with a mouth cut out to the front corgi silhouette; aligning at the side edge detail on either side. Glue the black paw prints to the slightly larger orange paw prints; centering them. Flip the basket base head down. Apply glue to the top two tabs and secure to the rounded backside piece just above. 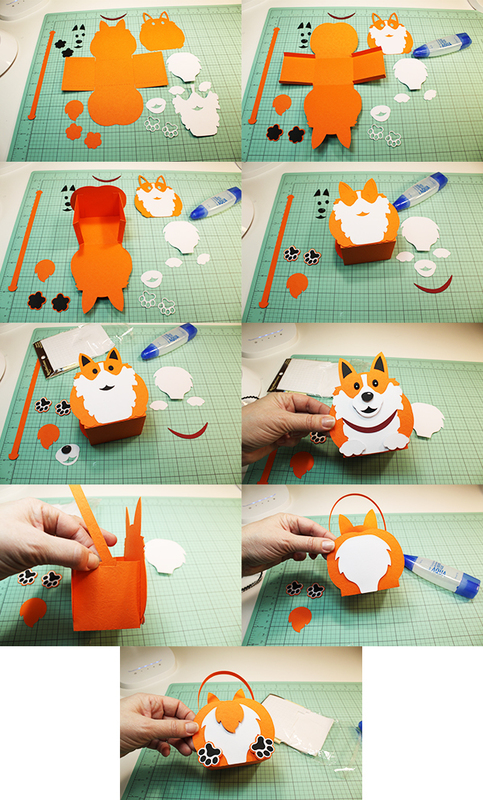 Apply glue to the bottom two tabs and secure to the corgi silhouette piece just below;creating a box. Glue the combined corgi silhouette to the front of the basket base; aligning edges. Glue the white paw print pieces with cut outs to the combined paw prints. Glue the black ears, eyes, and mouth to the coordinating shapes on the front of the combined basket. Use a foam adhesive square to attach the nose to the muzzle piece just above the mouth cut out. Use a foam adhesive square to attach the combined muzzle piece and the white front paws to the front of the combined basket. Glue the red collar into place. I used adhesive enamel dots to accentuate the eyes and the collar. Turn the basket to the backside and glue the white backside piece into place; centering and aligning at the bottom. I bought this design in the Sil store and made it into a card instead of a basket. It turned out so darned cute. My son had a Corgi for years and loved him to death. He was heart broken when it passed away. He will get this card for his birthday and I know he will love it. Very cute! 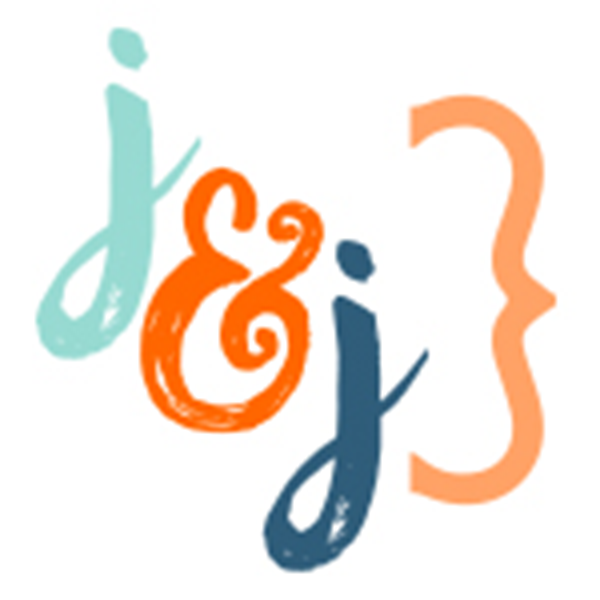 Any chance you could fix the link in the Silhouette store to this blog? It's silly, but since there's a spacing error, it's very hard to get here. Thanks for letting me know. I will see if I can have Silhouette change the link. would love to see a jack russell terrier.